Greetings! 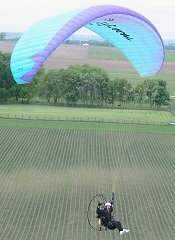 I'm Gary Brown and this is my humble personal web page -- started as a site for anyone (especailly prospective employers) wanting to learn a little more about me -- it's mainly a compilation of things that interest me: family, friends, aviation, science, computers and electronics. I reside in the western suburb of West Chicago, Illinois -- exactly 33 miles due West of downtown Chicago -- where I live with my precious family and also work as a Business Intelligence Manager. Originally born and raised in sunny South Florida, I moved to "Chicagoland" to agressively pursue a career in Information Technology	in Chicagoland. And it has been a fun ride ever since! With life being so fleeting it's my goal to perfect myself, my work, my family and, in the process, do something beneficial for the World. Hence my thirst for knowledge, logic and success with family, hobby and work. This page attempts to highlight those pursuits. If you'd like to send me a secure, encrypted file via email, please download and encrypt using this Public PGP Key. 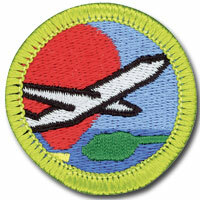 Being a FAA Licensed Pilot and SAR\DR Mission Pilot for the Civil Air Patrol (US Air Force Auxiliary), FCC Licensed Extra-Class Ham Radio Operator and avid electronics enthusiast, I'm very qualified to provide an extensive experience for these Merit Badges. 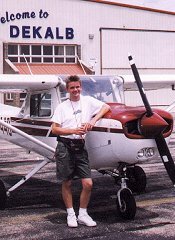 I've already hosted several Aviation Merit Badge events that not only included the required classroom training but also provided a real flight experience for each scout (with just minimal contribution from parents to help offset fuel cost). 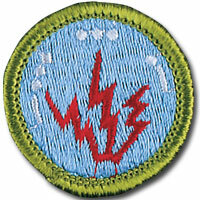 Similarly, I've hosted a Radio Merit Badge class that included electronics\radio theory instruction and a hands-on radio experience where each Scout got to speak live, on-the-air, with other Scouts and Ham Radio Operators around the world. Similarly, I'm available to assist any unit with assistance if they'd like to operate the Boy Scounts "Jamboree on the Air" (JOTA) event. 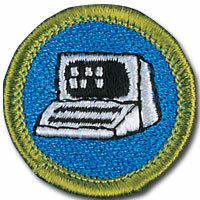 I've not yet hosted a Computers Merit Badge class... but look forward to hosting one of those soon too. In addition to the required training, I was thinking that building of a small micro-computer for each scout would be a GREAT experience. If you're interested in me hosting a BSA Merit Badge event for your troop, please contact me at gary@thebrownhouse.org and let's begin the discussion of planning the event for your troop.